Asus created headlines at the IFA 2014 with the launch of Android Wear powered ZenWatch and MeMO Pad 7 tablet with 64 bit architecture. 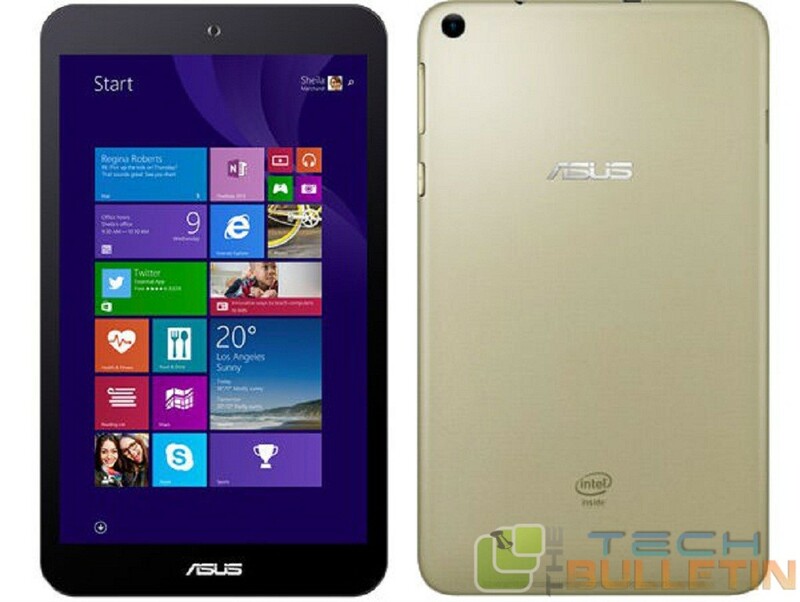 Now, the firm has once again introduced a new tablet called Asus VivoTab 8, again with a 64 bit processor from Intel. Well, the Asus VivoTab 8 comes with a 64 bit quad-core Intel Atom Z3745 processor that is clocked at 1.86 GHz. This processor is backed by 1 GB or 2 GB of RAM capacities depending on the region. Also, there is ample 32 GB of default storage space that can be expanded further by another 64 GB with the help of a micro SD card. The VivoTab 8 is fitted with an 8 inch LED Backlight IPS display carrying a WVGA resolution of 480×800 pixels. This translates to a low pixel density of 188 pixels per inch. Running on Windows 8.1, this tablet features a 2 MP front-facer and a 2 MP primary camera to render basic photography. There are connectivity features such as GPS, Wi-Fi, Bluetooth 4.0 and micro USB in the tablet and a 3,040 mAh battery that is rated to provide 8 hours of backup. The Asus tablet arrives with 1 year free subscription to Microsoft Office 365 pre-loaded in it. Priced at around $200, the VivoTab 8 comes in a slew of color options including Black, White, Purple and Gold. As of now, Asus has not revealed anything regarding the availability of the tablet and we need to wait for the firm to reveal an official word regarding the roll out of the slate.